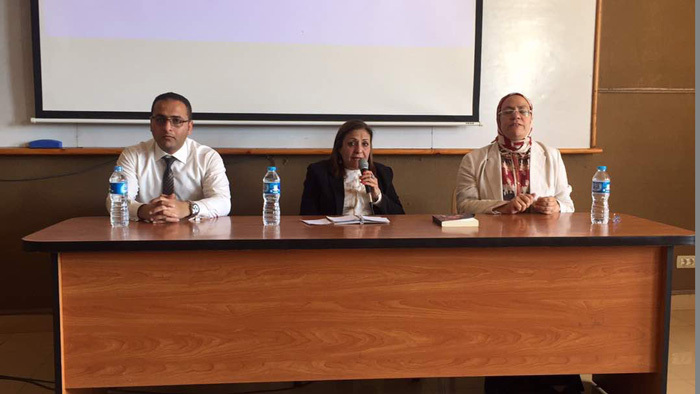 The faculty of Mass Communication held a seminar on ” The Impact of New Media on Old Media and Literature ” on Sunday 30/4/2017. The seminar was given by the writer Ablaa El-Barshomy who lives in Paris. Ablaa El-Barshomy’s literary works were discussed during the seminar. 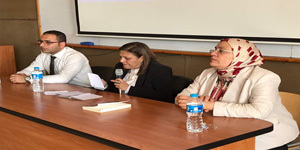 She also shared her experience in literature and translation with the students though she graduated from the faculty of Engineering- Alexandria University and received her master’s degree from Paris-Sorbonne University in Engineering. At the end of the seminar, the writer Ablaa El-Barshomy gave some of the faculty distinguished students copies of her book ” Alientation” as gifts.